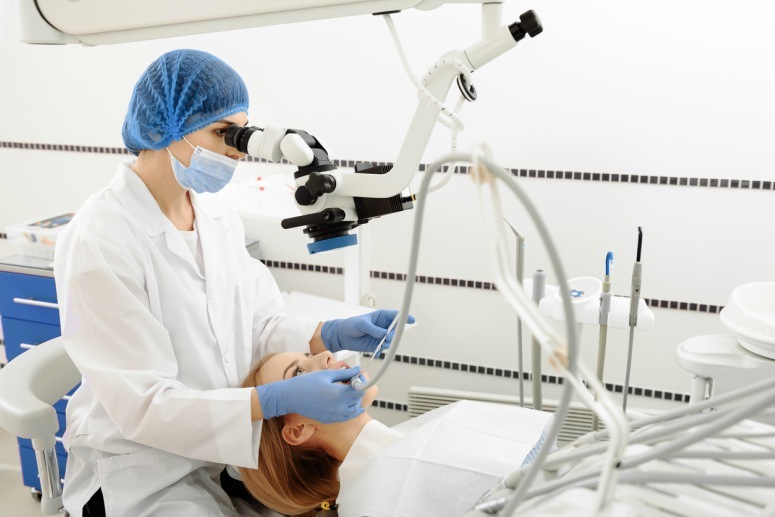 The particular internationally recognized discipline in dentistry called oral surgery concerns diseases, injuries and defects around the head, neck, face and jaw. Many problems addressed by general dentists fall into the category of oral surgery, such as tooth extractions, dental implants, impacted wisdom teeth, and the detection and treatment of some diseases. Some issues, like corrective jaw surgery and some dental implants, are performed by specialists in oral surgery. At Absolute Dental, we staff dedicated oral and maxillofacial dentists who specialize in the treatment of oral and maxillofacial conditions. What Procedures Do Oral Surgeons Perform? Fractured jaws and broken facial bones often fall to the oral surgeon for repair. A fractured jaw can cause other problems, such as gum issues or tissue damage. A skilled oral surgeon will be able to repair all related issues. Approximately 1 in 700 children are born with cleft lip and palates. This well-known condition is treatable by surgery, usually beginning around three months after birth, after the baby has had time to develop. Treatment can end there or be lifelong, depending on severity. Pulling teeth is often a simple affair, involving nothing more than anesthetic and a sharp tug. But in the case of impacted wisdom teeth or other complications, more specialized treatment is needed. A skilled oral surgeon is able to evaluate and perform complicated procedures to remove problem teeth. If snoring is caused by a long, loose palate and uvula, an oral surgeon can choose from several procedures to fix the noise. In some cases, the tissue will be removed, while in others, the tissue will be stiffened.